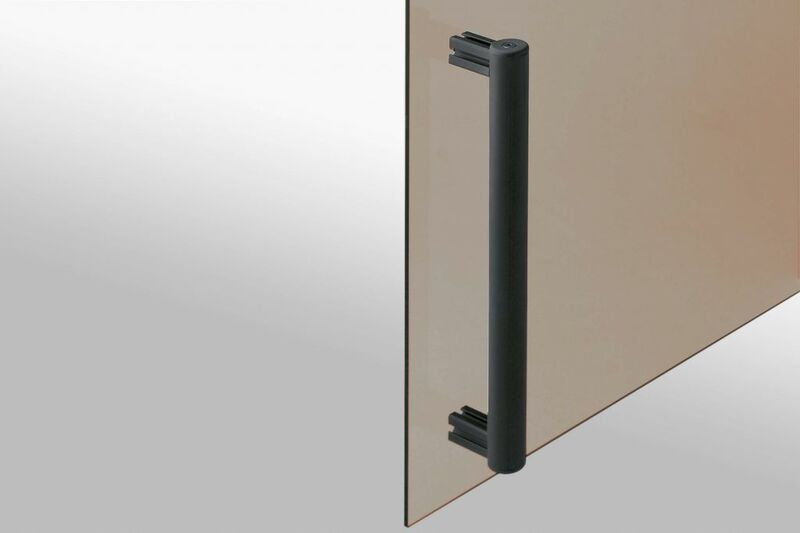 Grip Rail can be used on swing or sliding doors and also drawers. When attached to panels, the Grip Rail Profile has a stabilizing effect. It is cut to size from a 3 metre length, so it can be customised to any length. Two end caps cover the end faces of the profile. Stable, coated aluminium handles of straight and angled design. Plastic Handles are highly versatile for many applications. 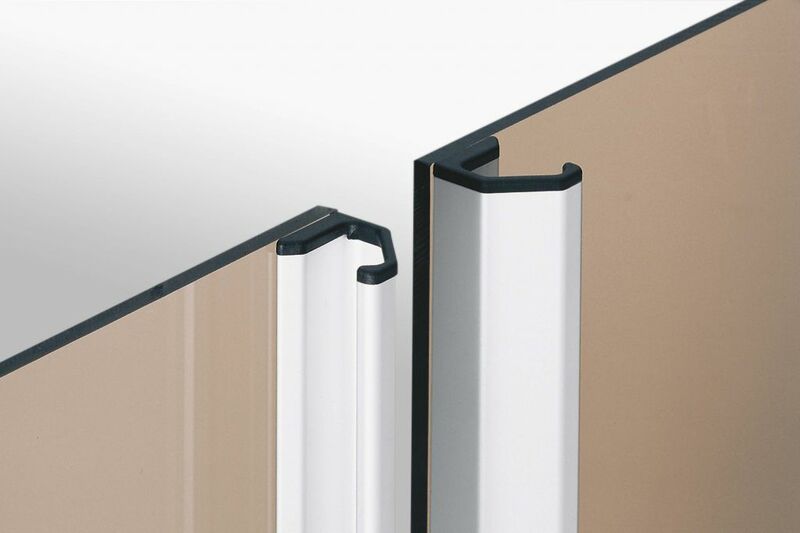 They can be attached from the front or rear and are particularly suitable for sliding doors and swing doors. Handle PA 160 has the option of an additional cap to fill out the cavity. It is fitted after the handle has been installed. 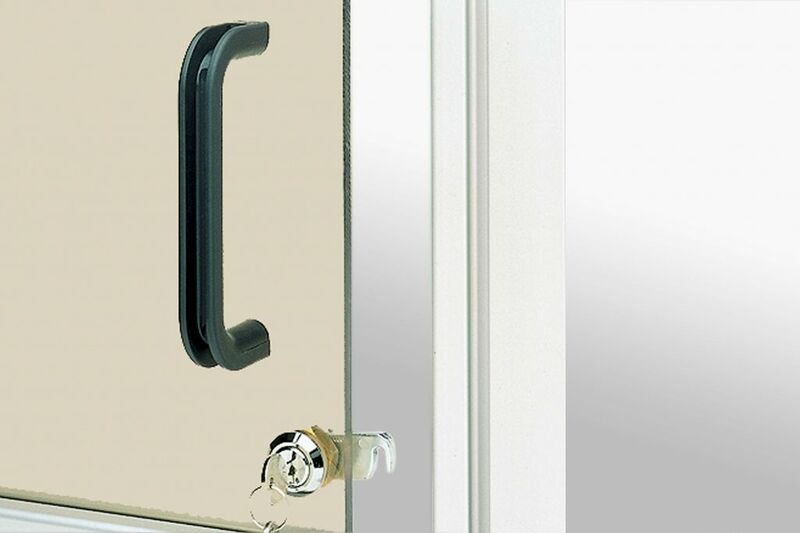 Handles Pi are extremely versatile and can be fixed in place from the front or rear (concealed). 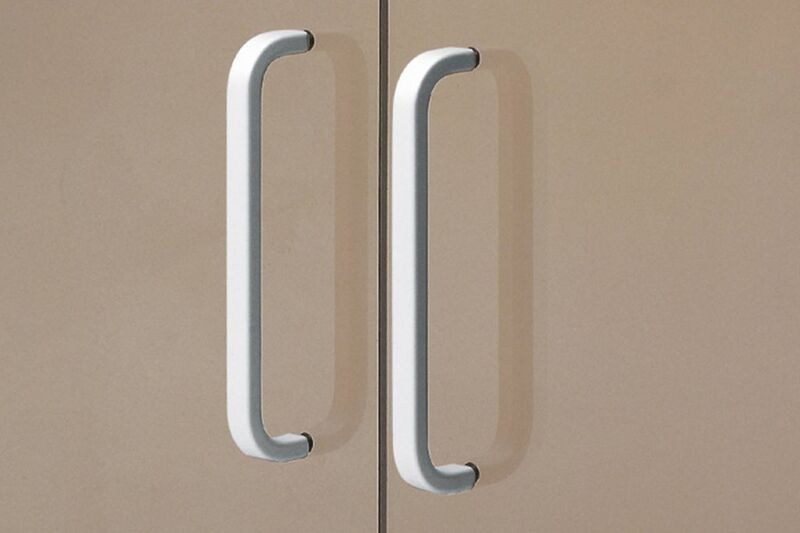 They are particularly suitable for sliding and swing doors. 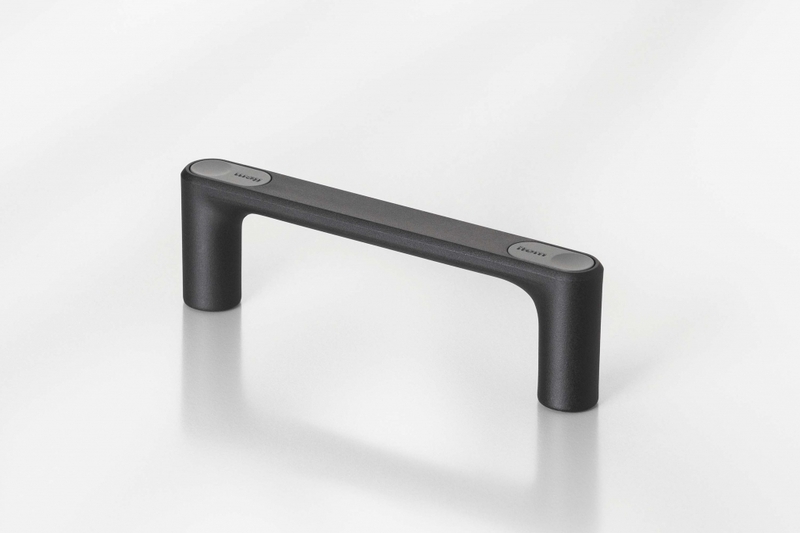 Each handle includes two grey and two red caps, allowing you to choose which colour you would like after purchase. 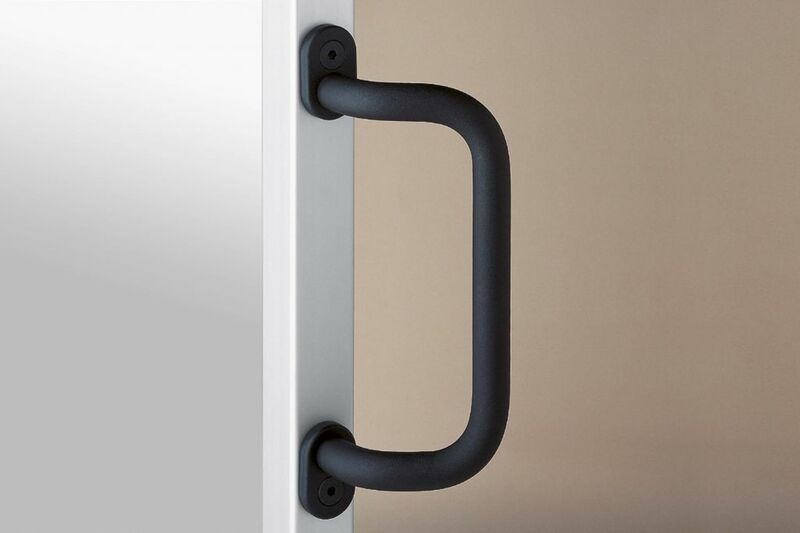 These lightweight aluminium handles are suitable for universal applications. The handle is secured from the rear with M5 screws. Locating washers can be used to adapt to profiles of different sizes. This unique handle consists of Grip Cover Profile and End Caps. The grip cover profile is cut to size from a 20m length and inserted into the sides of Profile 6 30×30. 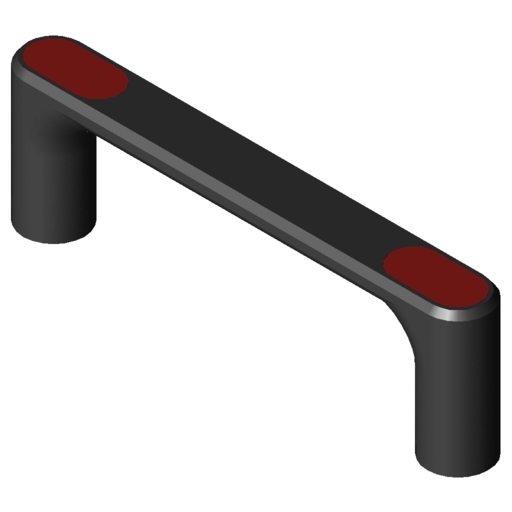 The handle can therefore be customised to practically any length. The end caps are then placed on either end. It is particularly suitable for heavy doors.